In celebration of its 50th birthday, Pampers is recognizing how much parenting has changed over the years, and is sharing their belief that every baby is a little miracle that deserves to be celebrated, supported and protected, by unveiling its Little Miracle Mission campaign – a program that delivers acts of kindness to miracles and their families while encouraging parents to support others. Pampers recently kicked off the Little Miracle Missions campaign by delivering a giant act of support –donating care packages to Neonatal Intensive Care Units (NICUs) across the country. Celebs Joey Lawrence , Ali Larter, Mark Consuelos and LaLa Anthony were on-hand in New York City to personally deliver a care package and thank you basket to Mt. Sinai Hospital and their staff. My readers can easily participate in the Miracles Missions programs, and support little miracles across the country, by logging on to Pampers Facebook page (Facebook.com/Pampers). 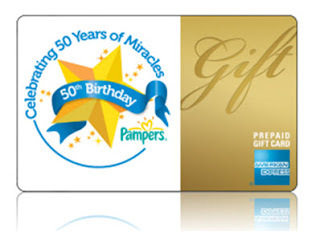 Pampers is also asking everyone to pay-it-forward by participating in the first Little Miracle Mission- to congratulate and offer support to an expectant mother with a gift or surprise gesture. Once more than 2,500 people pledge that they have achieved this mission, Pampers will respond by giving baby showers to expectant mothers nationwide just in time for Mother’s Day. Pampers will issue different missions throughout the entire year to celebrate all aspects of parenthood, and with the help of parents, family and friends, they hope to touch the lives of every baby born in the next year. My family was thrilled to receive a $50 Visa gift card to participate in the Little Miracle Mission campaign. Once we received it, I sat my boys down and explained to them that the campaign was all about giving and kindness. I asked then to come up with a few ideas on how we could help someone......and they came up with a great one !!! I take my middle son a few times of the year to Childrens Hospital for Dr. appointments, his next one is actually on Halloween Day. We decided to take the gift card and buy as many little treats (colors, books etc...) and pass them out at the hospital on his visit as a special Halloween treat for the kids that will be in the hospital instead of trick or treating. Thank you to everyone that entered this giveaway. The winner has been emailed ! (Please Leave A Valid Email Address). Leave a comment on how you would use the gift card to pay-it-forward !!! I will be using a random number generator to select the winner. Contest ends at 11:59pm CST on 5/22/11. If the prize is not claimed in 48 hours a new winner will be chosen.Contest open to continental U.S. residents only. I would give it to my friend who has a 3 month old. I would donate it to a local shelter that provides temporary housing for women & children in abusive situations. Diapers are an item that they say people seldom think to donate. I'd buy diapers to donate to the local womens shelter. I would buy formula for my friends daughter's babies. She just had twins and could use this. I have a friend who is pregnant with her first child. Her husband is unemployed and she earns little at her job. She has spent a good deal of her pregnancy worrying, so I'd like to lessen her stress by buying her some diapers, wipes, and some baby food. I would give diapers,wipes and baby clothes to a new mom thru a pregnancey care center we have in our town! I would give it to a pregnant friend who already has a lilone and cannot work due to disability, thank you! I'd use it to buy things for the community center that my church runs. Our church has a type of baby shower each summer where you can donate new baby items that are than given to new or soon to be moms in our community that are in need. I would use the gift card to buy items to donate. I'd use the $50 gift card to help my daughter buy her textbooks. She plans to save the world. I follow with Google Friend Connect. I would give it to a friend that needs it. I would pay it forward by buying seeds for our community garden! I'd donate the gift card to the Food Shelf where I volunteer. Higher cost of groceries - more needs. I follow you on Twitter @JalapenoMama and a tweet. Your button is on the sidebar of my blog. At the moment I am collecting item for a baby shower gift basket for a very young soon-to-be-mom--this would be a wonderful addition. I'd get baby diapers and wipes to donate to shelters and our church for low income new moms. Rob and I are helping a non-profit football league get off the ground. 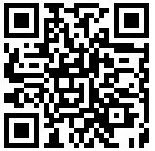 This giftcard would help alot with getting gear, equipment, concession supplies or anything else we are still needing. I'd give the $50 to the church day care for supplies. They could really use it. I would use coupons and get as many packs of diapers I can for the local pregnancy aid. My nephew and his wife recently had their first baby, and they are on a very tight budget. I would use the card to make up a basket of baby supplies and groceries. I would give it to my friends who just had a baby. Some friends of ours just had a child and they already have a 2 year old. The mother has had to take off work so this would really be great to help them out! I would use this gift card to help a young girl who is pregnant and also has a 2 y/o in diapers. This would greatly help her! I’d give this GC to my cousin who is going to have a baby in Oct. He is only 17. He is just like a star on 16 and pregnant. I think they could use all the help we could give them. I would use it to buy toys for the point store at my work in a psychiatric unit for kids. I would fill a random person's gas tank up at a local station. Liked life in a house of blue on FB. our area was hit hard by the recent tornadoes. I would use it to buy some pampers for a family with young children who have lost so much in the recent storms. I would definitely purchase baby items for the tornado victims. They desperately need any help they can get. Thanks for the chance! I plan to cook meals for a mom that is expecting a baby any day now! Thanks so much for the chance! I follow you publicly on GFC "Crave to Save"
I like you on Facebook "Crave to Save"
May 13, 2011 at 5:53 PM This comment has been removed by the author. I would love to give this to a friend who's husband just recently lost his job. I would get veggie plants for the garden so I can give out veggies from the abundance like tomatoes. I would donate diapers to a local home for pregnant teens.